Using innovative marketing schemes is necessary for any business to adhere to. And, with the great improvements in technology, those schemes are certainly far from what they used to be. The options for marketing are plentiful, including text marketing. This form of marketing involves the use of the customer’s mobile phone. It is more successful than email marketing, affordable and it is so easy to use. There’s a number of ways in which text marketing works to increase your sales, and if you are an accessory store ready to make the profits that make a difference, understanding and utilizing this marketing scheme is a must. Text marketing is a form of marketing that enables a company to communicate with a customer via their mobile device. The purpose of this communication is to entice them with an incentive to shop. Text marketing saves time versus other marketing methods since only those who are interested ‘opt-in’ to receive your offers. Increasing your accessory shop’s sales volume using text message marketing is so easy it might just surprise you. As you can see from the statistical information above, text marketing messages are being seen and used, and this is great news for your business. There are several ways to increase sales with the help of text marketing. Make your events, no matter what they are, exciting and very urgent. 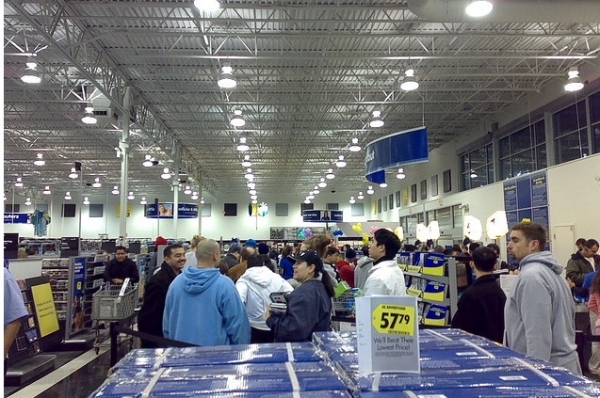 For example, a 5-hour only sale with the first 50 customers earning themselves a gift card is an event that is sure to draw in a large crowd. Your event doesn’t have to fit this exact scenario, but it should be one that a customer would hate to miss. Giving something away is also another good way to increase your text marketing success. How can this draw in more profit if you are handing something out for nothing? Although you’re giving something away, more than half of all shoppers will make an additional purchase once they are on your site or inside of the store. So a free $8 item could equal $80 in sales. Sounds like a winning situation if you ask me. Allow customers to text you. Two-way communication is important to build lasting relationships with your customers. This is as easy as enabling two-way advertising. Follow up on your sale. After someone has placed an order with you, make sure that you welcome them to your family, if they haven’t ordered before, and always thank them for their purchase. Many companies also send an extra-special gift, such as a coupon good on the next shopping order. For customers who haven’t shopped with you in a while, tell them you miss them and want them back with a super special offer. Whether you choose to offer a coupon, a special clearance deal, a freebie or something else, make this an exciting deal they really want and you can increase your sales and profits by getting your customers back where they really belong. With this information you have what ti takes to increase sales at your accessory shop in tremendous fashion. Take advantage of the opportunity.